When looking for car service from Long Island to JFK Airport, there’s no reason you should settle for the first thing you find. 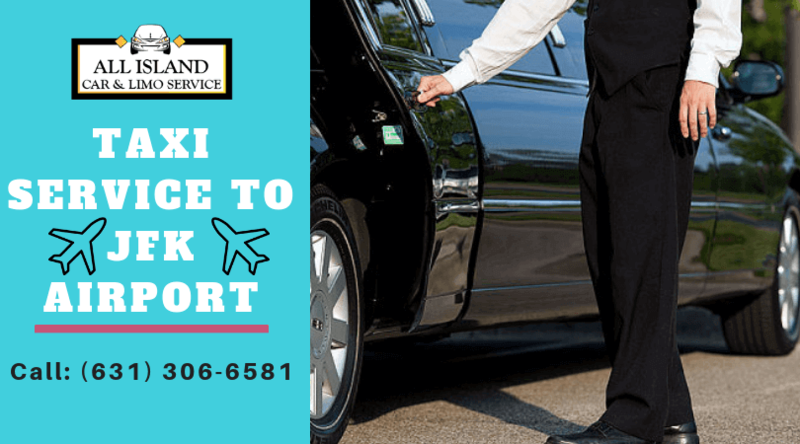 While taxis may seem like a convenient transportation option, they simply can’t reach the standard and level of transfer provided by Long Island car service. They can provide you with dedicated and experienced ground transportation service that you can count on. The reliable car service to JFK Airport from Long Island will provide you with competitive pricing that you will know up front. The price won’t fluctuate depending on the route the chauffeur takes or the traffic as you know it can be pretty hectic in Long Island. Instead, the taxi drivers would turn on the meter; so you won’t know how much you have to pay before you get into the vehicle. When it comes to appointing chauffeurs, the leading car services to JFK Airport will ensure that their employees are vetted, professionals. They perform a series of detailed reference and background checks of every chauffeur before hiring them. In addition to, they do drug testing to make sure they hire only the most reliable chauffeurs. On the other hand, taxi services don’t usually conduct face-to-face interviews, drug tests, and background checks. This means they can’t guarantee the absolute trustworthiness of their drivers. A professional chauffeur is different than a taxi driver in different ways. A chauffeur will provide the privacy the clients want. They are dedicated to maintaining a polite, respectful and friendly distance that may not be the case with taxi drivers. What’s more, a professional chauffeur is perfectly dressed and well manners that contribute to the impeccable travel experience. Usually, taxi service providers carry out inspections of their vehicles in their service on a yearly basis. This is not enough to guarantee the client a completely safe ride. On the other hand, a private car service from Long Island to JFK Airport must have all the vehicles in their fleet inspected more frequently as client safety is paramount to them. In addition to, a private car service means you can hire the vehicle you really want and travel in a style that is aligned with your own. All Island Car & Limo Service is famed for punctual, reliable and luxurious car service from Long Island to JFK Airport, Newark, LaGuardia and other airports in and near NYC. We appoint professionally trained chauffeurs who are locals that mean they are very much aware of the quickest and safest possible routes to get you anywhere you want within any time. In addition to, we boast a modern fleet of vehicles for you to choose from ensuring an unparalleled customer service. Call us now to book our reliable Long Island car service from to JFK Airport! Why Do You Choose All Island Car & Limo Service as Your LGA Airport Car Service?